She was very kind and very thorough. She really took the time to understand my concerns and gave me several optionsto help. The entire staff was very kind and punctual! Highly recommended. She was very kind and very thorough. She really took the time to understand my concerns and gave me several options to help. The entire staff was very kind and punctual!Highly recommended. This was my first visit with Dr. Cho and it was wonderful. She was kind, understanding, informative, and made what isusually an awkward/uncomfortable appointment as quick and relaxing as possible! This was my first visit with Dr. Cho and it was wonderful. She was kind, understanding, informative, and made what is usually an awkward/uncomfortable appointment as quick and relaxingas possible! Fluent in English, Spanish, and Korean, Dr. Sylvia Cho is adept to cater to the culturally diverse population of Medford, MA. She is excited to bring her knowledge to Tufts MC Community Care-Medford/Melrose OBGYN. Her goal during patient visits is to help women understand their bodily functions and get them to be actively involved in the upkeep of their well-being. Dr. Cho earned her medical degree from the New York Institute of Technology, New York College of Osteopathic Medicine, Old Westbury. She is also an active member of the American Congress of Obstetricians and Gynecologists. 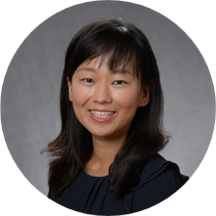 Skilled with the intricacies of obstetrics and gynecology, Dr. Cho is a zealous researcher, with authorial credits in numerous esteemed publications. She also believes in giving back to underserved communities and has participated in many volunteering activities. Outside of medicine, she enjoys snowboarding, running, and traveling.